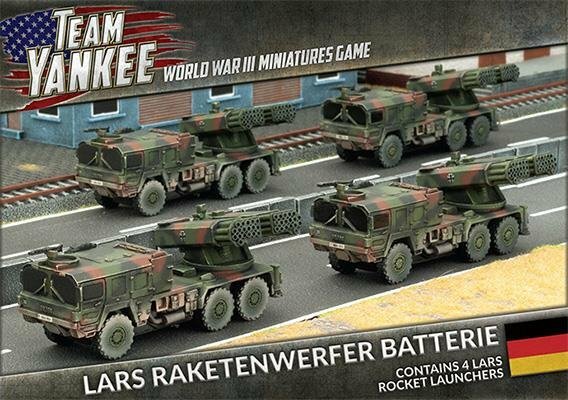 Includes four LARS rocket launchers, Minefield token, decal sheet & two Unit Cards. The LARS (Leichte Artillerie-raketen-system, light artillery rocket system) is a self-propelled multiple rocket launcher used by the division’s Raketenartillerie Bataillon (rocket artillery battalion). The LARS mounts two launcher pods with 18 tubes each. A single LARS launcher is able to fire 36 spin-stabilized 110mm rockets in 18 seconds.